It’s that time of month again- book forum week. Actually, it already passed, but I didn’t want to post my reflection before I actually had my class. As you might remember from my last book forum post, every month I am required to participate in a book forum. We are assigned a work of fiction (or a play, as was the case this past month), and we must then write a reflection paper on the chosen topic and participate in a book forum night to discuss the book. 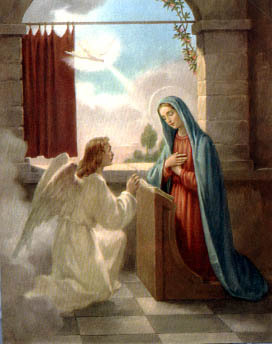 This past month, my class was assigned the book “The Tidings Brought to Mary,” by Paul Claudel. For those of you who have never read it (or have never heard of it), the story incorporates leprosy, miracle cures and resuscitation, and a young woman being thrown beneath a cart by her own sister out of jealousy. Yeah, I’m not kidding- it really happens. And the poor girl brought her sister’s dead daughter back to life before she was murdered. Some way to show your gratitude. My writing prompt was a simple one: what is the relationship between between justice and charity? And more fundamentally, what is justice? What makes the main character Violaine just? 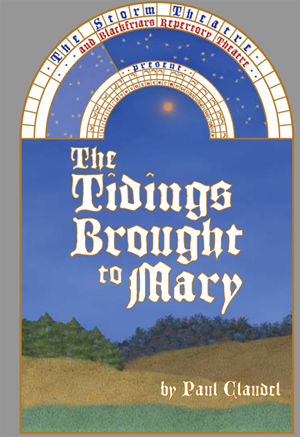 “The Tidings Brought to Mary” really gets to the bottom of this question, and if you’re at all interested by my reflection, I would encourage you to read the play yourself. It won’t take that long, and I don’t think you’ll regret it. But for those of you who don’t have the time (or the desire) to read the book yourself, here is my brief reflection on it. But justice cannot be equated with fairness. Life was not fair to her, but she is in fact the epitome of justice. Her very life demonstrates this fact. Violaine only ever acts justly throughout The Tidings Brought to Mary, bestowing charity on everyone and treating every character as the child of God that they are. She kisses the leper, loves her betrothed, respects her parents, and brings healing and hope to her sister. In her charity, she truly is Justice to every character is the play. Her justice is first seen in her treatment of Pierre de Craon, when she kisses him in her pleasure at her impending nuptials with Jacques. The kiss is a chaste one, and she loves Pierre de Craon as a child of God. She never meant to scandalize, but instead her action was called forth from the very love that she has for her betrothed. She kisses the leper because she loves Jacques, because she is ecstatic about her future marriage, and because she sees in Pierre de Craon a fellow human being who can share her joy. He is not first and foremost a leper to Violaine, but is always only a human being. Another notable moment where the justice of Violaine is manifested in her charity is the resuscitation of Mara’s daughter. At this point in the play, Violaine has already been condemned to die as a leper, and the entire village has not only abandoned her, but has utterly rejected her. They no longer even know who she is, but Violaine has been reduced to “the leper woman.” Where they could at the very least show the poor woman pity, they choose instead to detest her. She has been rejected by society and forced to live the rest of her life apart, and yet her sister seeks her out for what can only be considered divine intervention through the actions of a saint. Undoubtedly, that is what Mara considers her sister, who has never done anything wrong, except perhaps taking too much pleasure in her good fortune, and yet she has been condemned to a life of isolation and inevitable death. Blind and already approaching death, Violaine is begged by her sister to bring her dead child back to life. Cradling the rigid body against her breast, Mara’s little child does in fact come back from the grave, and she takes a little bit of Violaine- her blue eyes- with her. Violaine repeatedly brings justice and love to those she encounters. Her love gives freedom to Pierre de Craon, life to baby Aubaine, and hope to her sister Mara. Though her struggles do not seem fair considering her kindness, hers is a redemptive suffering. Kissing the leper Pierre turned Violaine into a leper herself, but it also cured Pierre. By her sufferings, Pierre is freed from the bonds that had held him as a result of his leprosy. Resigned to a life of isolation, Violaine only draws closer to God, growing stronger in faith as she grows weaker in body. Then, once again her touch heals, this time restoring life to Mara’s daughter. As she suffers and dies, she continually brings joy to those around her, which seems to be an excess of the joy that already threatens to overflow from her own heart. Violaine is constantly speaking of joy, and she attributes this to the fact that she knows why she suffers- she suffers for those she loves, and they are blessed for all her apparent accursedness. Yet she doesn’t seem to bear her sufferings as a curse, but rather as a blessing and an opportunity to love her friends and family, to even give her life for them. Through her struggles, Violaine comes to learn what it means to live, as well as to die. As her father exclaims, “Is the object of life only to live? Will the feet of God’s children be fastened to this wretched earth? It is not to live, but to die, and not to hew the cross, but to mount upon it, and to give all that we have, laughing! There is joy, there is freedom, there is grace, there is eternal youth!” (Act IV, Scene V, pg. 177). Violaine has lived well- she has loved and given her life for those she loves. 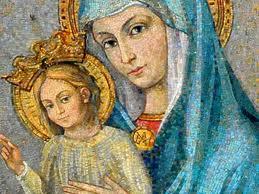 She has born her cross exultantly, and has endured her sufferings for the healing and freedom of those she loves most. And now she dies, a child of God and anticipating the joys of eternal life in heaven.